MacGyver season 2 episode 20 continued a trend that we’ve very much seen as of late: Giving you high-octane comedy, and somehow also giving you a chance to see some surprising comedy sprinkled in here and there. After all, this was an episode that brought you none other than comedy legend Ed Asner as the co-owner of a private jet who Mac and Jack commandeered as a part of their latest mission: Trying to take down yet another group of dangerous criminals. Yet, as the story went along it became about trying to save the son of a billionaire following their kidnapping. Ralph Jericho is a man who has figured out how to insure almost everything — yet, this kid named Ethan is one of the few things he has with a different sort of stakes. Trying to figure out how to save the day, and also this kid, was no easy task for many different reasons. For starters, Ethan was a little bit of a brat and it wasn’t altogether easy in order to win him over. Mac did do it but it certainly wasn’t altogether easy. Beyond just that, there were some heavy motivations when it comes to the guys on the other side. The head of the bad guys this week was Javier Morales, a man who was intent on using Ralph and his son in order to eventually get his brother out of prison. The entire mission to get Mac, Jack, and Ethan out of this building they were hiding in became increasingly entertaining as time went on. The bratty kid grew on us and, more than that, we started to understand his point of view where it didn’t seem like there were a lot of good guys in this world. (Ralph loved him, but Ethan didn’t spend a lot of time with him.) Mac proved himself to him thanks in part to a Faraday Cage, and also figuring out a way to shock a lot of bad guys out of existence. After the Faraday Cage experiment Mac and the team was able to make it out of there and Ethan was reunited with Ralph. The one thing Mac asked Ralph in return for saving his son? That he be there for him more. We do wish that there was more of Asner and Piper Laurie during the episode, largely because of the fact that they are fantastic. On a guest-star note we were pretty thrilled that Raphael Sbarge of Once Upon a Time played the character of Ralph. This was a very good episode overall, especially when it comes to everything from all of the Die Hard references to getting to see Mac still scrambling to figure out what his own father wanted him to see. Related – Want to see more news on the next new episode, which is going to feature a hostage situation at a bank? 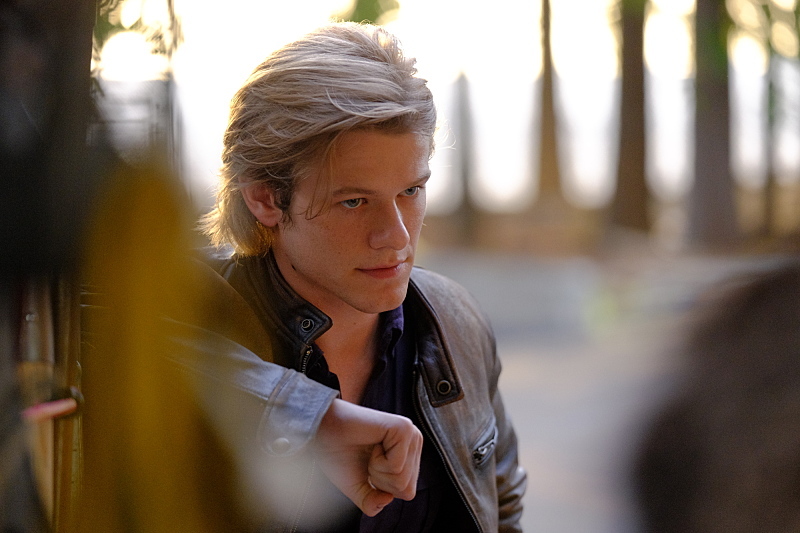 What did you think about MacGyver season 2 episode 20 overall? Let us know some of how you feel in the comments!